Please accept my greetings. I am very glad to acknowledge receipt of your letter dated the 9th instant and have noted the contents. Since I have landed in U.S.A. I have improved in my health and I am very glad to see that in America practically everything is available for our Indian vegetarian dishes. By the grace of Lord Krishna the Americans are prosperous in every respect and they are not poverty stricken like the Indians. The people in general are satisfied so far their material needs are concerned and they are spiritually inclined. When I was in Butler, Pennsylvania about 500 miles from the New York city, I saw there many churches and they were attending regularly. This shows that they are spiritually inclined. I was also invited by some churches church governed schools and colleges and I spoke there and they appreciated and presented me some token rewards. When I was speaking to the students they were very much eagerly hearing me about the principles of Srimad-Bhagavatam rather the clergymen were cautious to allow the students to hear me so patiently. They thought that the students may not be converted into Hindu ideas as it is quite natural for any religious sect. But they do not know that the devotional service of the Lord (Sri Krishna) is the common religion for every one including the aborigines and the cannibals in the jungles. Any way so far I have studied the American people they are very much eager to learn about the Indian way spiritual realisation and there are so many so called Yoga asramas in America. Unfortunately they are not very much adored by the Government and it is heard that such yoga asramas have exploited the innocent people as it has been the case in India also. The only hope is that they are spiritually inclined and immense benefit can be done to them if the Cult of Srimad-Bhagavatam is preached here. The American public also give reception to the Indian art and music. So many of them come and every one of them is given good reception. Recently one dancer from Madras came here (Balasaraswati) and just to see the mode of reception, I went to see the dance with a friend although for the last forty years I have never attended such dance ceremony. The dancer was successful in her demonstration. The music was in Indian classical tune mostly in sanskrit language and the American public appreciated them. So I was encouraged to see the favorable circumstances about my future preaching work. The Bhagavata cult is preached also through the art of music and dance as it was done by Lord Caitanya. I am just thinking of introducing the very same system for my Bhagavatam preaching but I have no means. The Christian missionary people are backed by huge resources and they preach the Christian cult all over the world. Similarly the devotees of Lord Krishna may also combine together to start the mission of preaching Bhagavatam cult all over the world. It is not for serving any political purpose but it is necessary to preach cult for saving the people in general from the dangerous tendency of Godlessness. The Christian cult or any other cult cannot save the people from being under the clutches of the growing communism but the Bhagavatam cult can save them because of its philosophical and scientific approach. I am therefore thinking of bringing a Sankirtana party from India but I do not know how to do it. Unless there is an organized party or association it is very difficult to do it. The Rama Krishna Mission here is busy in preaching a misrepresentation and therefore practically they have failed to preach the real cult of India. The so called Yogis also could not establish the real cult of Bhagavad-gita. They are after material gains. The Bhagavata Cult is not there at all although it is the only remedy for raising the people in the world in the path of self realisation and spiritual salvation. I do not know what is in the mind of Lord Bala Krishna but I think that your attention to give an impetus to the Bhagavata cult and my humble attempt can serve great purpose. By the grace of the Lord you have a great position in the world and it is learnt that you are one of the richest woman in the world. But above all you are a pious lady with great devotion for Lord Bala Krishna and you can do a lot in this connection. By the Grace of Lord Bala Krishna you are also free from all family encumbrances and as I have seen you in your Palm Ban house, you live like a sage and a Tapaswini. I wish that you may take up this idea of Bhagavatam preaching work a little more seriously. What I want that immediately a society for this purpose may be formed and that will be recognized by the Government for cultural activity. So many cultural missions come here from India at the expense of Government and they simply waste the money. 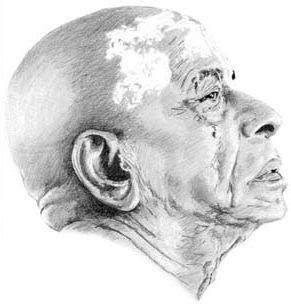 But if there is a real cultural mission for preaching the Bhagavatam cult a great philanthropic work will be done for the human society at large. I am just giving you the idea and if you kindly think over the matter seriously and consult your beloved Lord Bala Krishna surely you will be further enlightened in the matter. There is scope and there is necessity also and it is the duty of every Indian specially the devotees of Lord Krishna to take up the matter. I shall be glad to hear from you about my humble suggestions per return of mail. N.B. I am very glad to note the last line of your letter under reply in which you write to say "I feel that if you should stay there till you fully recover from your illness and return only after you have completed your mission." Yes I wish to stay here for all the days till I have finished the mission of life to preach Bhagavata Cult very rightly and for this very reason only I have suggested the above means and ways. If you kindly cooperate informing a society for this purpose with your great influence surely all Indians will combine and thus we can fulfill the mission very nicely declaring the glories of India. Please do it for the Lord's sake.